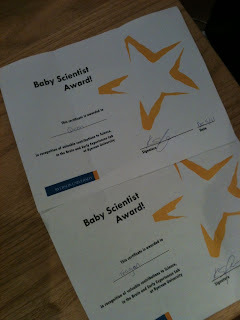 The girls are officially baby scientists! They participated in a university psychology study this morning. The study looked at 6-month old babies and whether they were able to recognize a person despite changes in their facial expressions. The babies sit in front of a computer screen for about 5 minutes and are shown many photos of the same person posing different facial expressions. Once the baby got bored (ie. started looking away), the test phase began. The baby was then shown two photographs side by side. One photo was of a face that they'd seen before and the other was an unfamiliar face. They wanted to see if the baby would recognize the face that they had seen previously. The girls' faces were videotaped so that they could measure how long the baby looked at each photo. Since emotional facial expressions are the first way that babies communicate with their caregivers, they are looking to figure out whether this ability actually develops in infancy. I was with the girls for the entire time. They sat on my lap for the duration of the test. I could not see their faces during the test unfortunately. Apparently most babies smile when they're shown a happy face, but Teagan smiled and/or laughed when she was shown EVERY face! This included faces exhibiting fear, sadness, happiness etc. The testers thought that this was hilarious. 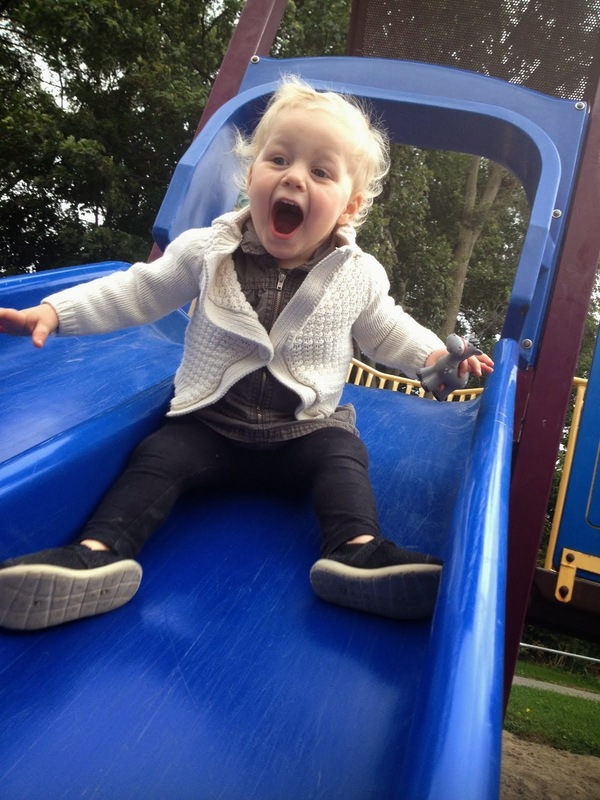 She's such a ham! Anyways, it was quite interesting so I was happy to let the girls participate to help out the students. They received 'baby scientist' awards for their participation! 6 Month Stats and Santa!